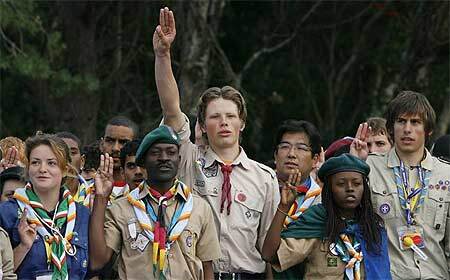 The Scouts come with a built-in culture – a promise, law, and motto that define who they are. Scouts figure out what’s expected from them by asking them what they think a Scout is (“helpful and trustworthy, kind and cheerful”, etc.) Sometimes I’ve reminded a boy or girl who wasn’t quite behaving they way we expected them to that they made a promise every week to be ” . . . considerate and clean”, so please explain how does using bad language fits in with that promise? Zappos grew from a start-up to a 1.2 billion dollar company in eleven years. The founder’s regret? He didn’t set the corporate core values sooner. Have you thought about what your own personal values are? Does your company have core values? Do you know what they are and what they look like in action? Some of my clients push back when I start asking them about their values. Usually it’s in the form of “we have bigger problems” thinking. So I get sneaky, but once they get started they get obsessed with them. They want to catch their employees doing thing that illustrate the values of the company, capture them, re-tell and celebrate them. This drives the behaviour they want to see to the bottom of the company to such an extent that all the policy manuals and reviews and rules start to become redundant, because people really understand what’s expected of them. When does a CEO know that they’ve started making good headway on their company’s core values? When they start getting sick of talking about them all the time. Next Post What’s Your Priority?